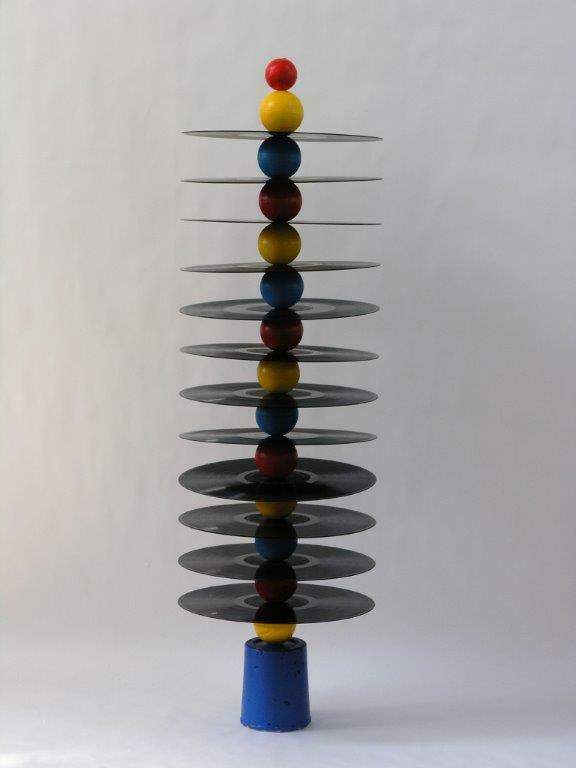 Last May, Oliver three-dimensional artist Kurt Hutterli responded to a call for entry in “Okanagan Vinyl Fest” at the Shatford Centre, Penticton. 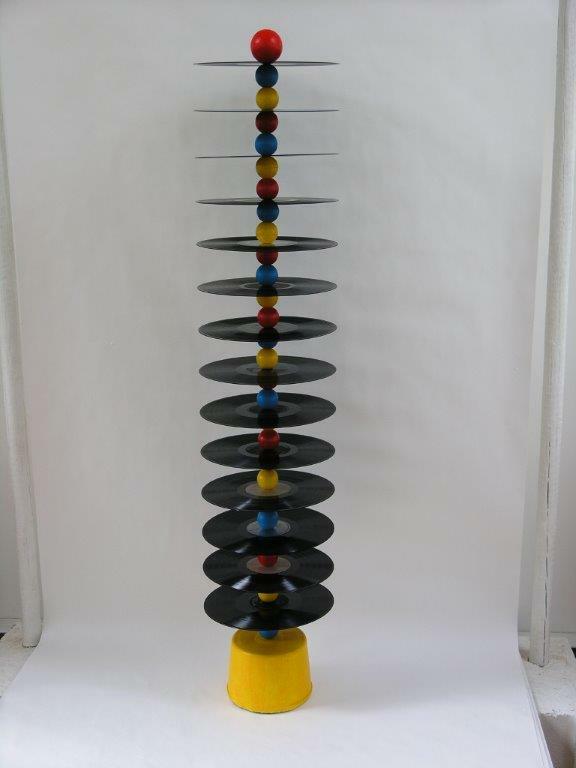 He submitted two pieces celebrating the age of vinyl records, which he entitled “Ritual Objects from the Vinyl Age”. Kurt’s style is to transform found objects into whimsical pseudo-artifacts, imagining a ritual purpose for ordinary items in some alternative universe of his own creation. The one-day sale, on September 22 was in celebration and support of Peach City Community Radio, its second annual event. Proceeds from the event went to the Peach City Community Radio Society. Besides Kurt’s artwork, Vinyl Fest included 18 unique vendors with music (vinyl and CD) and other audio equipment for sale, four live bands on the Burger 55 Stage, Dogtown Coffee and Perch Travelling Boutique on site, and new this year – the London Drugs Listening Lounge. Door prizes attracted visitors as well as the chance to win tickets to see Loretta Lynn at the SOEC on October 22nd. More about the one-day event is on Facebook: www.facebook.com/ okanaganvinylfest (remove the space from the url to visit the page). Congratulations Kurt! The big question is … what are those records … and can you still play them?